In order to maintain a positive public image and discourage socially unfavorable practices, enterprises should strongly consider utilizing supplier relationship management tools. From factory safety protocols to employee compensation, it's imperative that businesses know their partners' practices so that no shady practices go unacknowledged. Despite the United States' stringent laws prohibiting the employment of child labor, the issue still persists in the the country. According to Manufacturing.net, the Human Rights Watch recently discovered that more than 140 children, some of them 7-years-old, are working in tobacco farms in North Carolina, Kentucky, Tennessee and Virginia. As the majority of these plantations lace their plants with nicotine and pesticides, HRW urged government authorities and tobacco companies to implement further measures that protect those working in the fields. The group noted that U.S. agriculture labor laws allow the employment of children, but if the proper safety measures aren't in place, it can result in grievous ailments. The kids who were interviewed claimed that they have been subjected to work long hours, sometimes in extreme heat. Additionally, the chemicals used to kill insects and fungus frequently cause vomiting. In order to subvert these poor practices, tobacco organizations could leverage vendor resource management solutions to indirectly inform suppliers that they will not give business to farms that fail to appropriately protect their workers. Supporting growers that do abide by such standards will send a clear message of discontent to those that do not. Companies partaking in global sourcing have to tread lightly when purchasing materials. 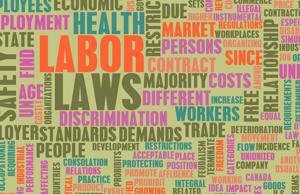 Regulations vary with each country, meaning that child labor laws may be relatively lax in some instances. The Huffington Post referenced a campaign spearheaded by Made in A Free World, an organization focused on eliminating modern-day slavery. The nonprofit is currently combating child labor in India, where 60 percent of the Earth's mica is mined. The news source noted that the mineral is quite common in cosmetic products, sourced by corporations headquartered in developed countries. Although India prohibits people under the age of 14 from working, citizens as young as 5 years old are forced to work 12-hour work days in dangerous mine shafts for $4 per day. In order to discourage these unfavorable practices, it's important that makeup companies find innovative, creative ways to evaluate their strategic sourcing. Cognizant consumers are unlikely to purchase goods from enterprises that support organizations that blatantly disregard child labor laws.